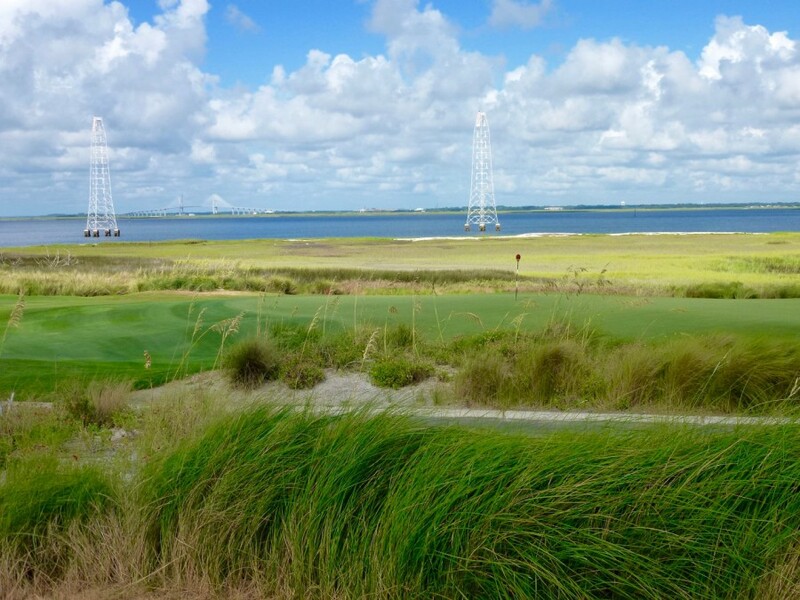 Seaside’s 5th green is just one of many set against the Intracoastal marshes and St. Simons Sound. No one has ever accused Tom Fazio of being a minimalist. In fact Fazio seems almost hostile to the idea that there’s virtue in building holes with as little construction involved as possible. If the option is presented, why not take full control of the design process? Had modern industrial machines and equipment, Fazio has conjectured, been widely available to Donald Ross, A.W. Tillinghast, et. al. they’d surely have used them. To my knowledge he hasn’t worked on many properties where it isn’t necessary to more or less engineer the course, so his outlook is understandable. It would be fascinating to see what he’d do with a site like Pacific Dunes, Barnbougle or the Sand Hills (then again, I’d rather see some other fresh-perspective architect get a shot on the next great property). He did pretty good, after all, at World Woods, another wonderful, sandy site. Seaside’s par-4 11th, heading straight out toward St. Simons Sound, pulls the South Georgia grasses and scrub oak into the shape pattern of the hole. That’s not to say he doesn’t believe in blending holes into the environment and making them look like extensions of the land. In fact he’s very good at it. One of his highest achievements in matching a design with a sense of place is the Seaside Course at Sea Island in southeast Georgia. 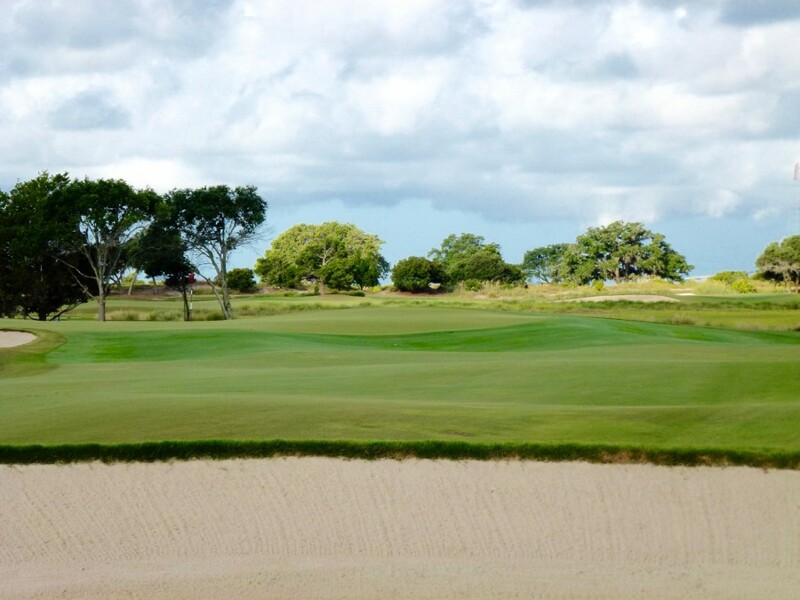 The resort hired Fazio in the late-’90’s to combine two of the property’s four nine-hole courses — Seaside, built by Harry Colt and Charles Alison in the mid-1920’s (renovated by Robert Trent Jones in 1949), and Marshside, a 1973 Joe Lee addition — into a coherent 18 (Rees Jones did the same with the Plantation and Retreat nines). The low, flowing green at the par-3 6th blends naturally into its environment. Fazio cleared out trees and introduced an open air, linksy theme to unify the holes. 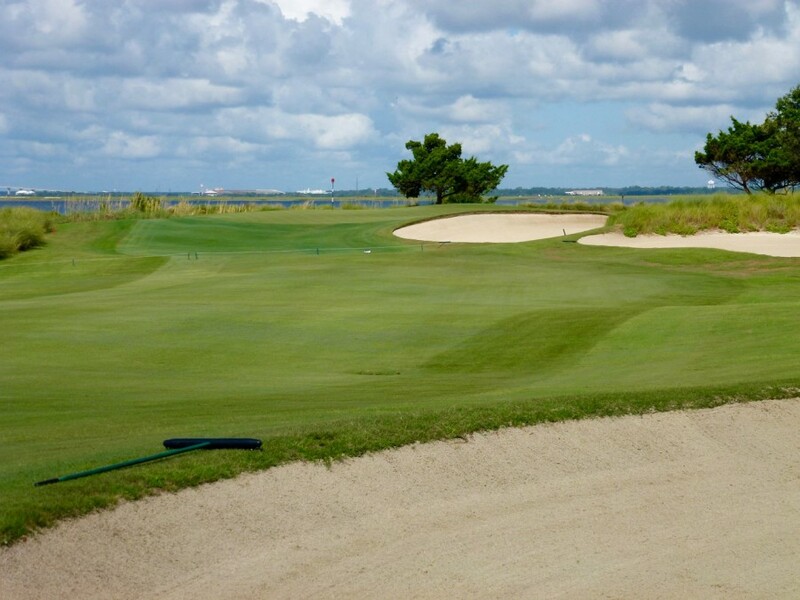 Though the course is actually located on the western, Intracoastal side of St. Simons Island the dunescapes of seagrass and scrub oak, which increase in volume the closer the play gets to the shoreline, feel indigenous. It’s not oceanfront, but it’s the essence of coastal. The first nine (the old Marshside routing) moves out toward toward the salt water marshes surrounding King Creek with two standout holes — the exposed 4th and 5th, back-to-back par-4’s that dogleg sharply in opposite directions around the everglades — though the short par-4 8th, with a an elevated green tucked to the right behind a pair of flashed brow bunkers, gives them a run. 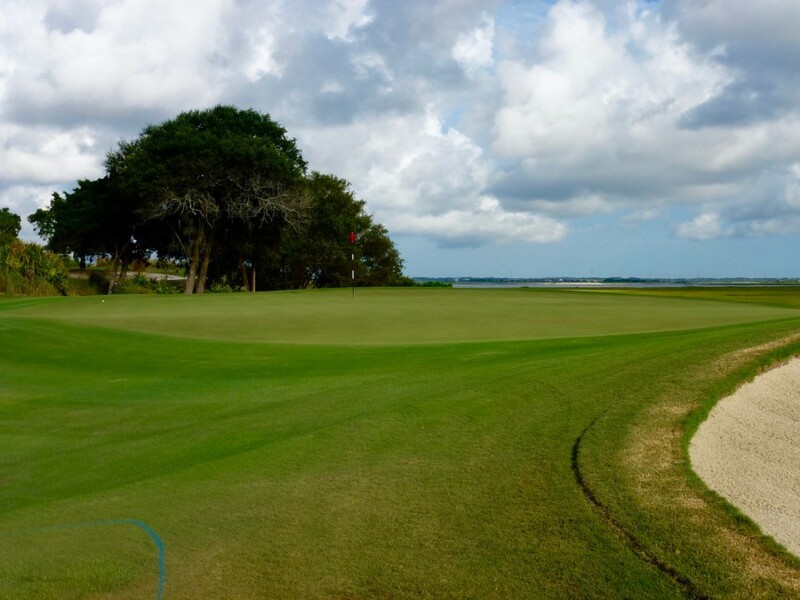 Perched slightly above grade, the par-4 11th green can be battered by winds sweeping across St. Simons Sound. 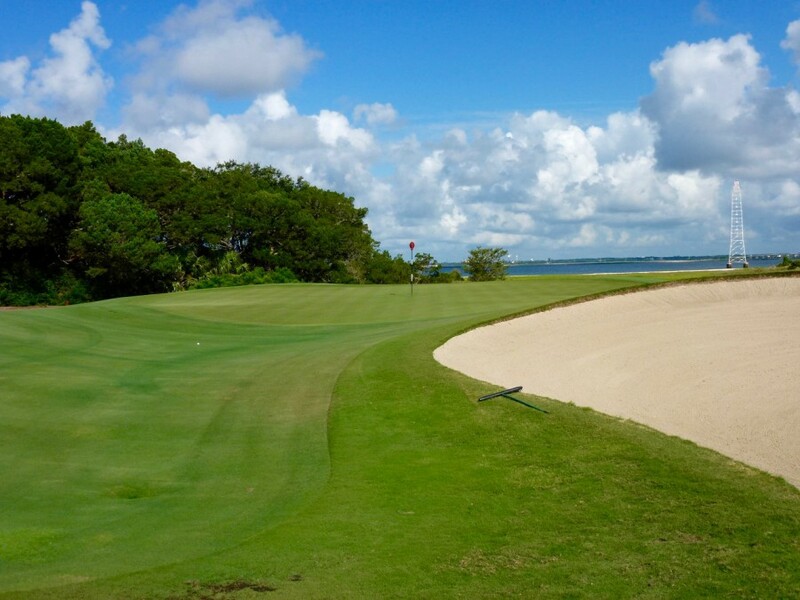 One of the best nine-hole runs in Georgia begins with 10 and 11, par-4’s that dash between sandy dunes toward the sound. The par-4 13th, running out again toward the marshes, sets up with a drive across a tidal marsh to a fairway slanting diagonally right to left. You choose how much to bite off — safe lines to the right may run through the fairway into bunkers, and hero plays along the hazard farther up the left get a straight-in shot to a green sitting up in the winds atop a rounded dune. The approach from the more risky left side of the par-4 13th is uphill but more direct. From the right side it’s clear how exposed the green is, set atop a dune. Conceptually the hole bears similarities to the Raynor/Macdonald “Leven” hole, but the particular elements and aesthetics here are just unique enough to demand their own template recognition. The “Seaside” hole, perhaps? This set-up is revisited on the 16th hole, another par-4 playing across a canal, although the orientation here is such that only the biggest of hitters can make the 270+ yard carry to really open up the shallow green. Fazio’s slick, exposed greens drifting off into close-cut depressions work well with the off shore winds — they can be difficult to hit and hold but aren’t punishing on misses. A majority — notably the 1st, 3rd, 7th, 10th and 11th — are pushed up and crowned in the mode of Pinehurst No. 2, while others, like the 4th, 9th and 14th, are set into the grade of the fairway, bleeding into the surrounding formations. The low green at the par-4 4th nearly throbs with movements that mimic the surrounding fairways and chipping areas. Fazio mentioned to me once that Seaside was one of his favorite projects. It’s easy to see why — Sea Island is an historic property with golf full of exciting character, the setting is sensational and he was allowed the freedom to execute an expansive and comprehensive theme. A few of the holes don’t quite contribute, like the 2nd with a green set against an interior lake, and the 17th and 18th lack the kind of defining shots and integrity you desire coming in (the long par-4 finishing hole is a bit of a hot mess).